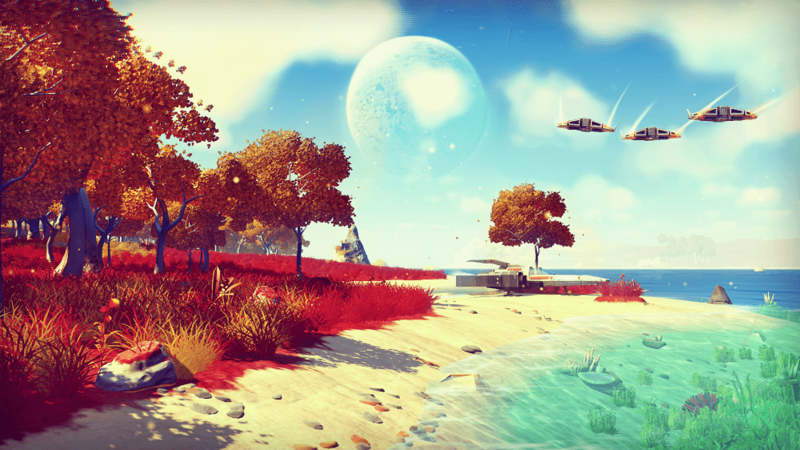 You wouldn’t think that a game called “No Man’s Sky” could get into legal trouble over its name. After all, it’s not as if someone could claim to own any of those three words. It seems, however, that UK television broadcaster Sky TV disagrees. Hello Games’ Sean Murray Tweeted that the developer had finally settled with the company, which is owned by 21st Century Fox, over the use of the word "Sky." He said the “secret stupid legal nonsense” had been dragging on for the last three years. If the case had resulted in the upcoming space adventure title being forced to change its name, it wouldn’t have been the first time Sky had taken such action. In January 2014, the corporation won a trademark battle with Microsoft that saw the Redmond firm change its online storage platform from SkyDrive to OneDrive. The broadcaster also takes issue with the name Skype. In a case that has raged on since 2005, an EU court ruling last year said that Microsoft couldn’t register a trademark for Skype's name and bubble-design logo in the region because the public may confuse it with the Sky TV brand. Last month, it was announced that No Man’s Sky was being delayed by two months because there were “some key moments [that] needed extra polish.” It’s now speculated that the legal case was the primary reason the game’s release date was moved from June 21 to August 9. Both Murray and Kotaku reporter Jason Schreier received death threats after the delay was revealed. Developers claim that No Man’s Sky’s clever algorithms will allow 18 quintillion procedurally generated planets to appear in the game, theoretically giving it more content than any other title in gaming history. From what we’ve seen so far, it’s looking pretty amazing, but we’ll have to wait until August 9 to find out if it lives up to the hype.